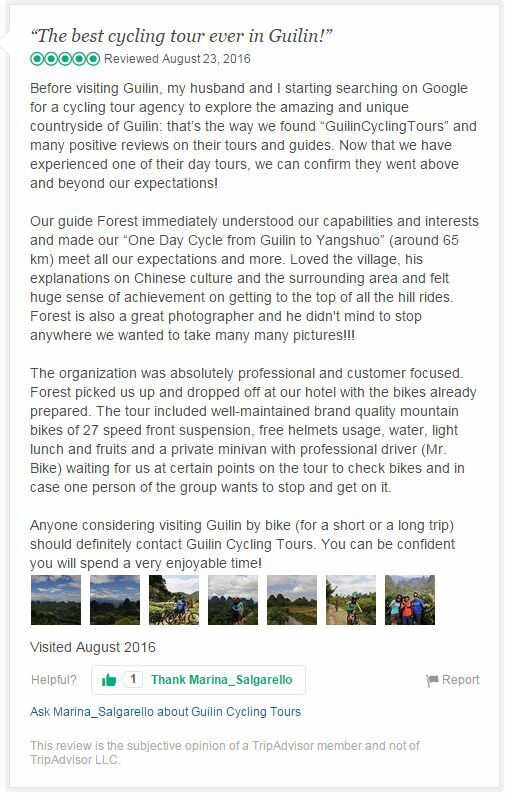 Tour Overview: Bike to Yangshuo from Guilin through peaceful and less commercialized villages; enjoy the hidden big Kart mountain sceneries. Worry-free cycling in the wild nature, optional easy ride on paved and plat countryside with family or challenging cycle on back roads between big mountains. 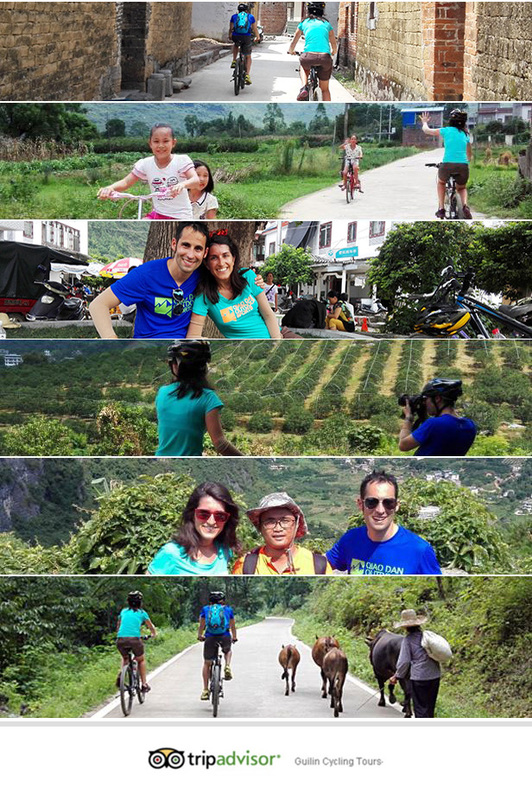 Off-The-Beaten Track Cycle Tour from Guilin to Yangshuo from Liu Robert on Vimeo. 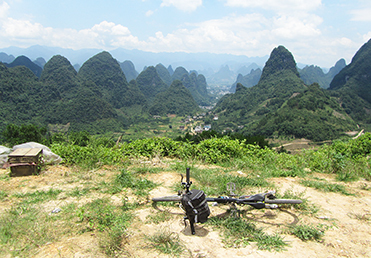 Mountain bike cycling on well paved roads and some off road from Guilin to Yangshuo from the western side of Li River . 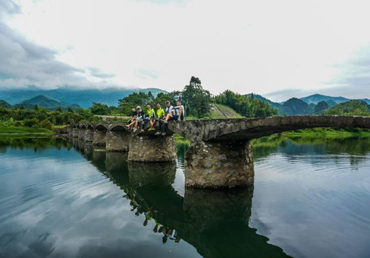 Grade 3.0 Harder than moderate and cycle over 55-80KM (34-50 miles) per day through more hilly areas, usually 8-13 days’ itinerary is included in the multi-day cycle tour like this. All terrain will be faced during our trip and a total climb less than 15KM (usually the total vertical ascent and descent under this grade is between 500-1100M per day). During the cycle, more percentage of paved (concrete/asphalt) roads will be arranged but some narrow tracks and dirt roads are also included. Riders can get off the bikes and push some distance if you feel unsafe on those parts. 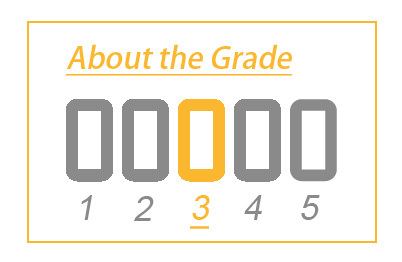 Generally speaking, if you can cycle around 80KM per day through big mountain areas on mainly paved roads, this grade will not a very challenging one for you. Holiday Style: Mountain bike cycling on well paved roads and some off road. 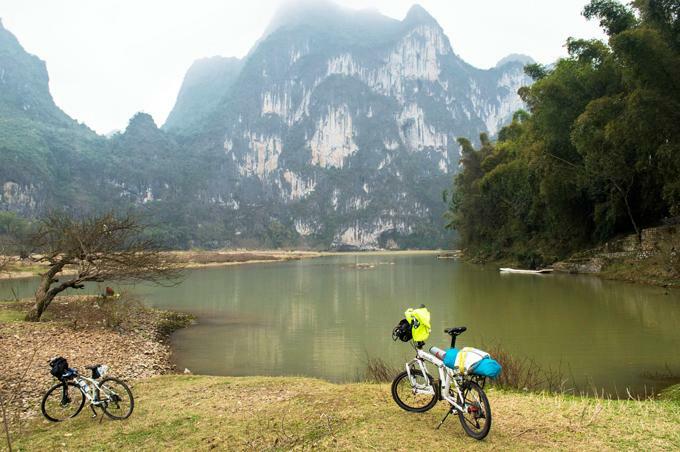 In the morning, we will be transferred with our bicycles outside the crowded Guilin city and drives about one hour. 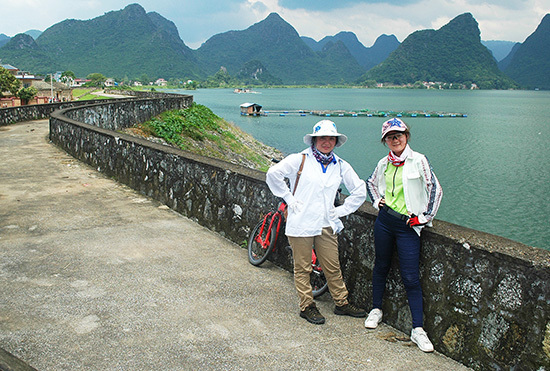 We start our cycling into countryside directly and avoid the traffic, passing through quiet villages and small forest; we cycle into the perfect concrete roads built between local famer’s rice fields, surrounded by Karst scenery and small rivers. We cycling into peaceful roads in the painting-alike countryside which is composed of flower garden, chickens, ducks and buffalos, we soon cycle into trails hidden among villages, feeling so intoxicated with how we can find such an silent world so easily. we have to conquer over many mountains and big climbs today at a total climbing up distances over 14KM. We finish the first 1/3 tour without too much troubles although there are few short slopes on off-road. Save energy for the rest part of this tour as we are facing steep climbs on muddy roads and macadam, a mixture of road surface on paved or unpaved cycling. Awesome scenery but hard climbs, we will have chances seeing the pouch hill,Yulong river valley and the dragon bridge. How do we deal with the luggage? You will leave your big luggage our workshop (Starting point) in Guilin city in the morning if you not come back to Guilin when finish the tour today. Our van will bring your luggage to your hotel in Yangshuo in the afternoon. 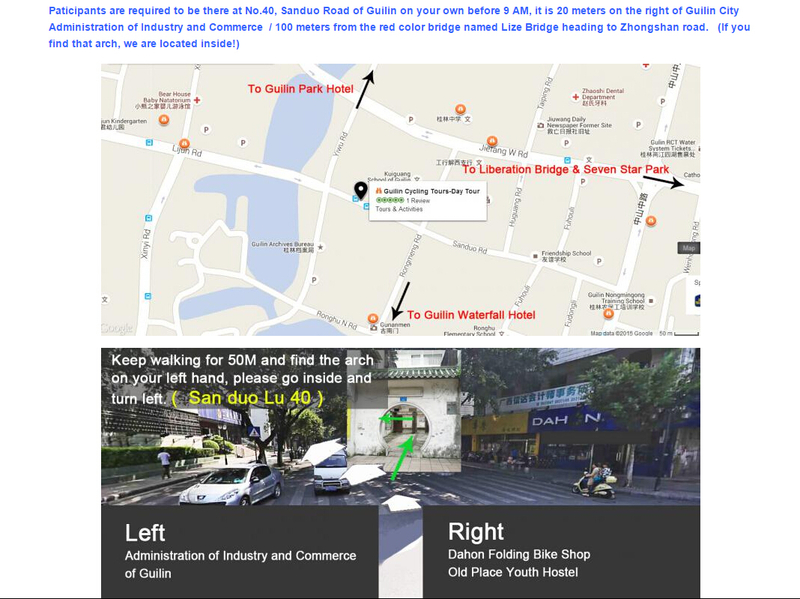 If you do not stay in Yangshuo, then you can take our supporting van back to the hotel in Guilin city with our guide and bikes. 1 CNY1150 p.p, Shuttle bus back to Guilin. 2 - 3 CNY850 p.p, Including luggage transferring from Guilin to Yangshuo if you stay overnight there or transferring yourselves back to hotel in urban Guilin from Yangshuo when the cycling ends. 4 + CNY600 p.p, Only available for luggage transferring from Guilin to Yangshuo. Guests will take shuttle bus back to Guilin. Group number limits: (2-10 people), please send enquire to get the other prices based on your group numbers.